The next-generation Mitel 5330e IP Phone brings flexibility and resilience to the enterprise desktop. 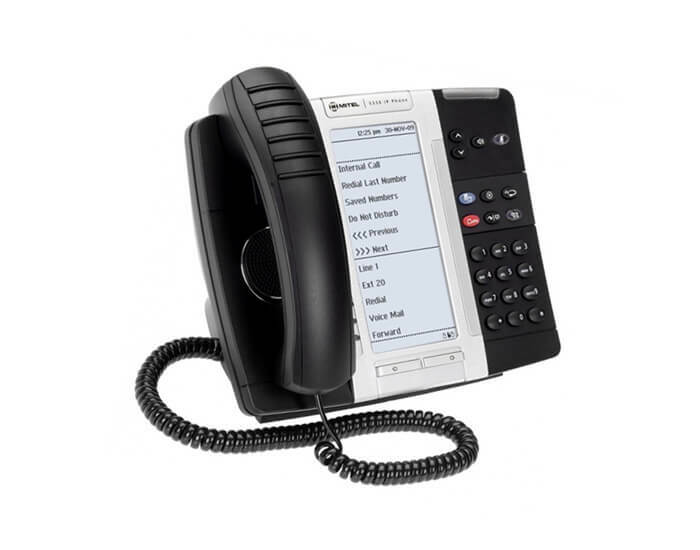 The Mitel 5330e IP Phone is a full-feature, applications telephone that features a large graphics display, embedded gigabit support, and 24 self-labeling keys that can be programmed as speed dial keys, line keys, or feature access keys. Twelve fixed-function keys provide convenient one-touch access to commonly used telephony features, navigation keys and menus, as well as customisable user settings. The 5330e IP Phone also has three contextual softkeys to help users easily navigate through telephony functions.